Huge Savings Item! 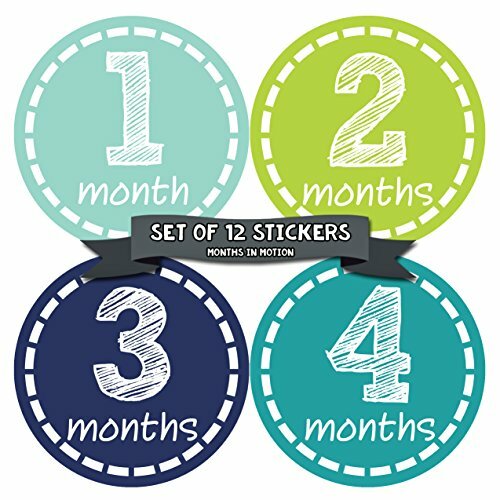 Save 16% on the Months in Motion 113 Monthly Baby Stickers Baby Boy 12 Months Milestone Sticker by Months In Motion at Kmpacting Studio. MPN: 113. Hurry! Limited time offer. Offer valid only while supplies last. Months in Motion first year baby month and milestone stickers are a great way to document your baby’s monthly growth in their first year of life. Makes a wonderful shower gift and a perfect addition to any baby registry! Just peel, stick, and click a photo to document your baby's first year! If you have any questions about this product by Months In Motion, contact us by completing and submitting the form below. If you are looking for a specif part number, please include it with your message.